Is your restaurant clean enough? 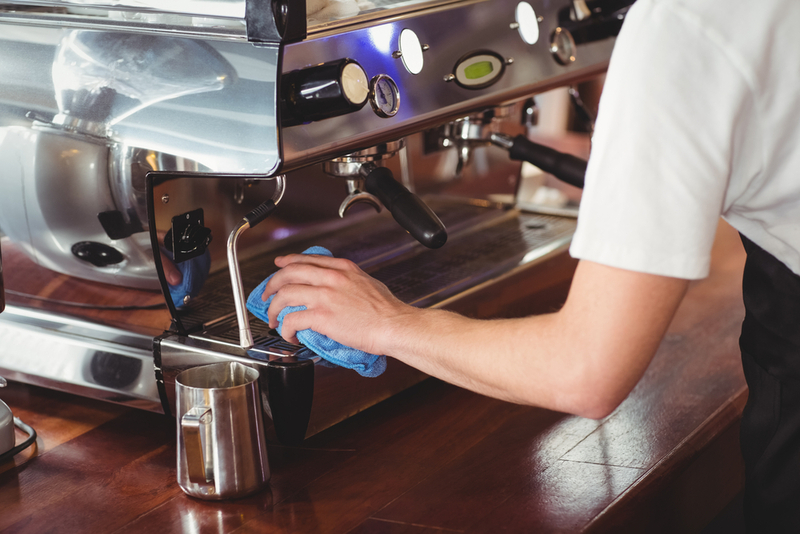 We have prepared this comprehensive restaurant cleaning checklist that you can use alongside your local restaurant regulation codes to ensure that your restaurant is at its cleanest and most hygienic! The front of the house includes every part of the restaurant that customers see and experience. This includes everything from the curb and the entryways to the dining area, the reception and waiting areas. Here are some of the most essential areas to clean. Floors. Floors get the bulk of the debris dragged along by foot traffic and should therefore be in the upper echelon of priority areas. Spot-clean stains and spots immediately and deep-clean at the beginning and end of each shift. Tables. Wipe off tables thoroughly after every use, making sure leftover food morsels are caught and not dropped onto the floor. Sanitize with a strong disinfectant at the end of each shift. Click here for a quick guide on proper cleaning methods for different types of tabletop materials. Doors. Door knobs are some of the most notorious spots for the spread of disease so periodically spray door handles with disinfectants and wipe off walls to remove dust and debris. Shelves. Dust off display shelves, preferably with microfiber towels that can more efficiently pick up dust and dirt. Display Cases. Nothing could possibly be more unappetizing than looking at food in filthy display cases! Wipe off moisture and fog on the glass surface throughout the day and make sure the shelves are clean as well. Windows and Other Glass Surfaces. Use glass cleaners for the windows and food-safe cleaners for food display cases. Restrooms. Restrooms are among the very first things people notice in a restaurant so make a great first impression by being conscientious about your restroom upkeep. Install humidifiers and deodorizers, clean floors, sinks, toilets and all surfaces multiple times a day, and invest in proper restroom mats that will keep the floors dry. Counters. With all sorts of hand contact and spillage from food and drinks, counters must be spot cleaned and thoroughly disinfected after every shift. Walls. Spot-clean visible stains and wipe off with a strong disinfectant. Condiment Bottles and Menus. Together with the tongs at the salad bar and the door knobs, the condiment bottles and menus are some of the dirtiest things in a restaurant so make sure they get cleaned up regularly. Wipe down menus with disinfectants and include the condiment containers in your dishwasher load. Seats. Wipe down seats with disinfectant or vacuum them and keep them dry, especially the nooks and crannies where bacteria and molds can build up. Trash. Take out the trash at the end of every shift. Wash the bins after the trash bags have been disposed of, making sure there is no residue left. Keep them dry. Linens. Place used linens in the wash pile after every use, and work with a qualified linen service that knows how to thoroughly clean textiles for food service businesses. Air Vents. Every week, air vents must be vacuumed and the grilles brushed to avoid large buildup of dust and other debris. Ceiling. Use damp mops or paint rollers treated with surface cleaner, soap, or dishwashing soap diluted in water to clean ceiling. Floor Mats. Deep-wash floor mats once a week to prevent the buildup of debris or send them to a mat specialist. Curb and Driveway. Pressure-wash curbs and driveways once a month. Walls. Use a long-handled brush and soap to remove deeper-seated debris from the walls and wipe dry to prevent any traces of water stains. Walls. Wipe grease stains of your walls at the end of every shift to avoid the mucky buildup that promotes bacterial growth. Other Cooking and Food Preparation Equipment. Clean and dry thoroughly to ensure complete removal of food residue. Cooking Cutlery. Wash and sanitize cutlery used in food preparation. Make sure to wash separately those that have been used to prepare raw meats to avoid cross-contamination of any kind. Dry thoroughly. Beverage Dispensers. These can be tricky to clean as spouts and knobs are notorious for hiding leftover much that could harbor nasty bacteria. Deep-clean after every shift and dry thoroughly as moisture can promote molds and bacteria growth. Preparation Areas and Sinks. Sanitize preparation areas and make sure to thoroughly wipe away every trace of moisture. Floors. Mop and de-grease floors everyday to avoid buildup of disgusting (and dangerous!) grease. Soap Dispensers and Paper Towel Rolls. Replenish soap and sanitizer dispensers and paper towel rolls as needed. Trash Bins. Empty the trash bins and sanitize. Back of the House Linens and Uniforms. Place used rags, towels, and uniforms in the bin, separating each according to their use and exposure to raw food. Also, work with a qualified linen or uniform provider to make sure that your linens and uniforms are being thoroughly cleaned. Walk-In Refrigerator and Storage. Dust storage and refrigerator floors every day to prevent buildup of dust and other debris. Keep supplies organized. Walk-In Refrigerator. Sanitize walk-in refrigerator and evaluate contents for usage dates. Ovens and Stoves. Brush off grease and food splashes every day and dry them properly. Leaving any trace of food residue and/or moisture is just an invitation for cockroaches, bacteria, mold and other filthy crawlers. Mats. Have your anti-fatigue and kitchen floor mats maintained by a qualified mat service company. Vent Hoods. Wash vent hoods thoroughly to remove any buildup. Ice Machines. Sanitize ice machine according to manufacturer’s instructions. Walls. Deep-clean and de-grease walls to thoroughly remove grease buildup and other debris trapped on the walls. Grease Traps. Depending on how busy your restaurant is, your grease traps need to be cleaned at least once a month. You can follow this handy guide for cleaning grease traps. A restaurant cleaning checklist can be quite overwhelming, even for the larger, more experienced restaurants. 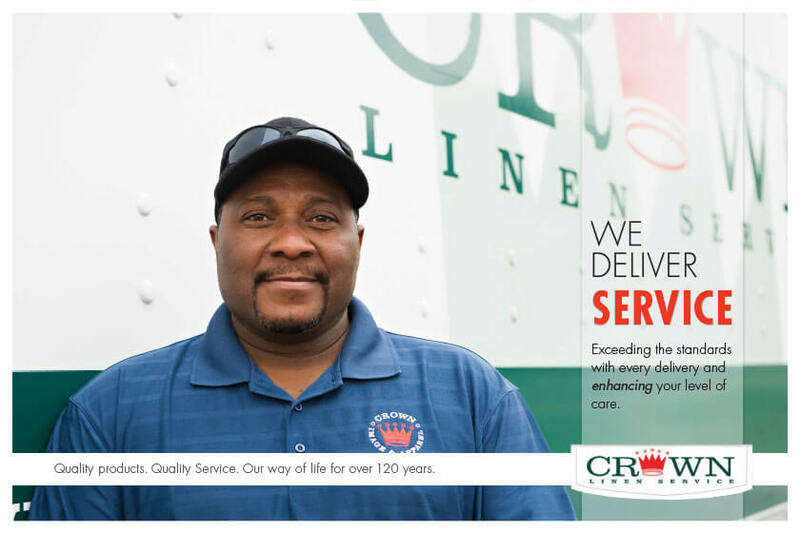 Ease off some of the responsibilities and get better results while at it by renting your linens, uniforms and floor mats from a reliable, experienced restaurant linen specialist like Crown Linen! Renting your linens is not giving up control over the quality or cleanliness of your linens – it is getting the guarantee that you’re securing the best, cleanest linens for all your restaurant needs without having to worry about keeping them clean. 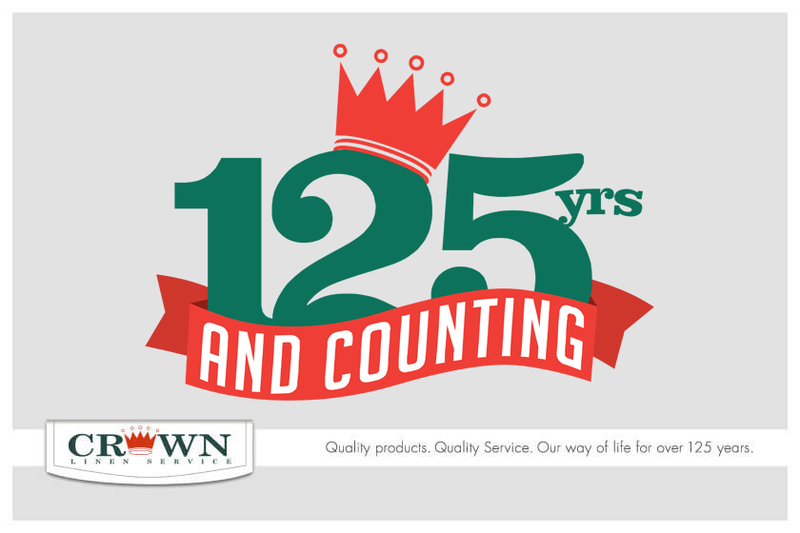 Crown will clean and maintain your linens, uniforms and floor mats so you can focus on everything else that matters to your business. 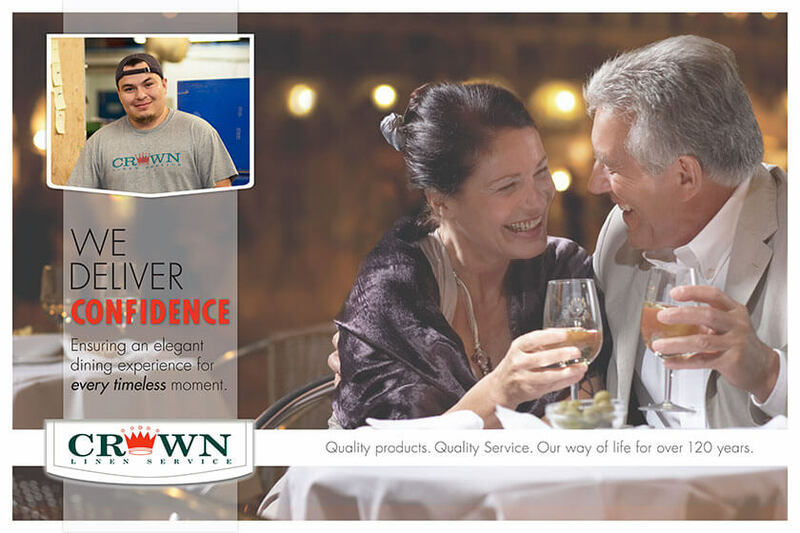 Want to learn more about how Crown can help your restaurant? Contact us today! 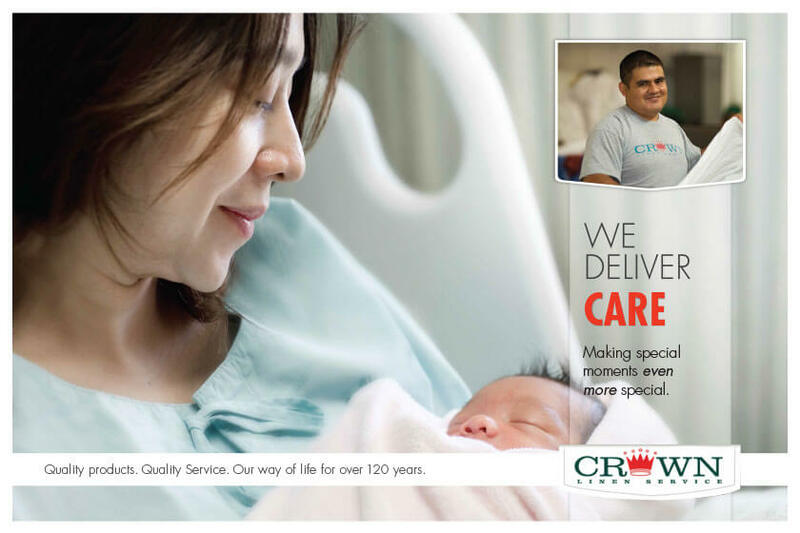 Call Crown at (800) 733-8090 to speak with our customer representatives!